On May 17th, CAIR-Chicago staff welcomed a diverse delegation from across various cultural, religious, and ethnic background to engage in conversation on current work, advocacy, and efforts being done by CAIR-Chicago locally, such as the Travelers Assistance Project (TAP), various civil rights cases, outreach and media efforts, and other projects. The delegation consisted of Christians, Muslims, and Atheists from Muslim-majority countries who are committed to engaging locally and internationally in interfaith-based organizing and activism. 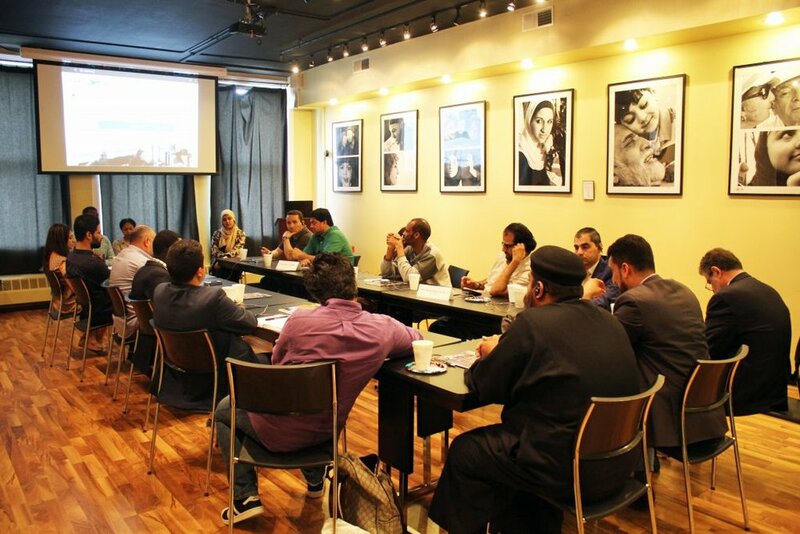 Members of the delegation include various intellectuals, media broadcasters, activists, religious scholars, and others, and were able to exchange insight with CAIR-Chicago staff members.